Looking for the best probiotic yogurt on the market? You’re in good company. And why not – after all, it makes perfect sense. Yogurt sounds like an easy way for you to incorporate healthy probiotics into your diet in a tasty, effortless way. But that’s not always the case. Heat can often kill the active cultures found in yogurt. In addition, yogurt may contain other ingredients like sugar, which make it less beneficial than you would think. 1. Pasteurization or heat treating kills the lactase in yogurt, which otherwise makes this dairy food more easily digestible, especially for people who are lactose intolerant. 2. Heat treating kills off the live active cultures. In addition, if the labelling on a yogurt container shows more stabilizers or sugars and less protein, this lowers its nutritional value. As much as you want to eat foods that make you healthier, many yogurt brands available today are, sadly, more like a processed dessert than a beneficial yogurt. But…Isn’t Yogurt a Health Food? Many people in the United States who eat yogurt do so because they believe that it is a healthier choice than other food options. Ironically, due to the sugar content of the yogurt that contains sugar, this makes it more similar to candy than to a healthy food choice. Sugar’s negative effects outweigh by far the health benefits of the small amount of beneficial bacteria found in yogurt. 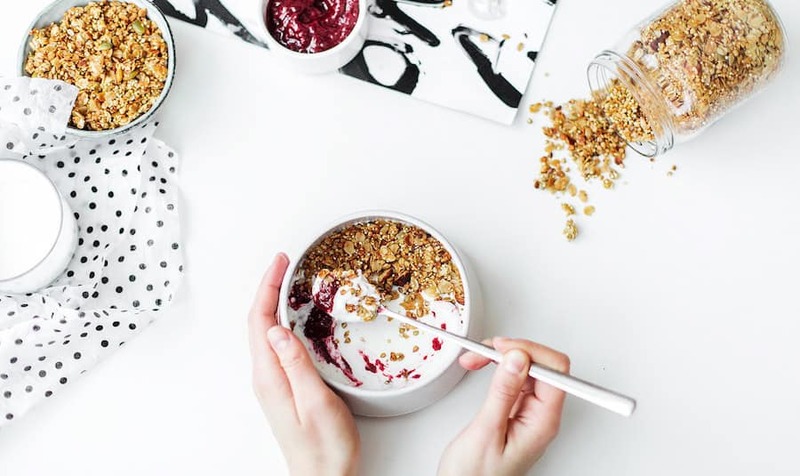 The reason you’ve probably been eating yogurt is for a healthy gut, yet sugar causes microbes that can cause disease to crowd out the beneficial flora in your gut! The non-sugar versions of store-bought yogurt aren’t much better. They contain additives, artificial sweeteners and artificial flavors, which hardly sounds like health food. So Is There a Probiotic Yogurt Worth Buying? If you’re scared straight about yogurt now, don’t give up on it! There are healthier probiotic yogurt options available. High-quality, plain or flavored yogurt has fewer ingredients (often containing only live active cultures and milk) and offers you the most nutritional benefits. It contains protein, and it’s easier for you to digest than milk. This yogurt is certified as organic. It is made without using any GMOs or toxic persistent pesticides. It contains a blend of six live probiotic cultures: L. rhamnosus, L. casei, Bifidus, L. acidophilus, L. bulgaricus and S. thermophilus. Plus, it’s widely available pretty much anywhere, making it a breeze to get your hands on. This yogurt is made with organic milk from grass-fed (pasture-grazed) cows. It contains no stabilizers and it’s not homogenized. The flavor is pleasant and clean, even a bit buttery. (There is no butter in it.) The texture is thick, not like other brands that are fluffy or ultra-whipped. The ingredients are simple and basic – and healthy: Certified organic grade “A” whole milk and S. thermophilius and L. bulgaricus cultures. The yogurt from siggi’s is simple – it has simple ingredients: live active cultures and pasteurized skim milk from pasture-grazed, grass-fed cows. It contains no gelatin, sucralose, aspartame, preservatives, artificial colorings or high fructose corn syrup. It is a verified non-GMO product. The probiotic cultures included are L. delbrueckii, L. acidophilus, B. lactis, L. delbrueckii subsp. bulgaricus and S. thermophilus. Maia is a simple yogurt that includes few ingredients and many probiotics. The ingredients are vanilla beans, tapioca starch, vanilla extract, cane sugar and pasteurized, cultured non-fat milk. The probiotic strains included are the live cultures of streptococcus thermophilus, L. delbrueckii ssp. bulgaricus, L. paracasei, L. casei ssp. paracasei, Bifidobacterium and L. acidophilus. This all-natural yogurt includes milk and live, active probiotic cultures. They do not use powdered protein concentrate, powdered cream, powdered milk, preservatives or thickeners. The probiotic strains included are: L. Casei, Bifidus, L. acidophilus, S. thermophilus and L. bulgaricus. What’s the Best Probiotic Yogurt? Honestly, your best bet when you want the healthiest probiotic yogurt is to make it yourself, using raw grass-fed milk and a starter culture like the one below from Cultures for Health. Raw, organic milk contains not only beneficial bacteria to reduce allergies and boost your immune syndrome, but it’s also an excellent source of healthy fats, enzymes, zinc and vitamins (particularly vitamin A). Raw milk is also not associated with health problems from pasteurized milk, like cramps, diarrhea, skin rashes and rheumatoid arthritis. When you make your own yogurt, you also have the option to eat it plain or use a natural sweetener. Maple syrup and raw organic honey are excellent flavoring choices. You can even add flavor without calories by using a squirt of lemon or lime juice or a bit of vanilla extract. Fruits like whole berries add welcome, healthy flavor, too. Home-made yogurt gives you a chance to add only the highest quality ingredients, since you choose them yourself. You can also select from among the best mixes of probiotic strains. It may be a tiny bit more effort, sure – but if you’re on the hunt for the best probiotic yogurt, making your own probiotic-enriched, healthy yogurt at home is your best bet!